There is still a great selection of cityview and waterview suites available at both Vita on the Lake and Vita Two, and Mattamy and Biddington are now offering a special, limited time incentive! If you buy now, you will receive Design Studio Incentives to make upgrades to your suite. You will also receive two years of free maintenance, as well as a parking spot and a locker! This is a big deal. $50,000 goes a long way in condo suite upgrades, and you’ll save thousands of dollars by not paying maintenance for two years. And the parking spot and locker are worth several thousands of dollars each! You don’t want to miss out on this high value incentive. Vita on the Lake is a 53-storey tower, and Vita Two is 16-storeys right on the lakefront, so there are plenty of options whether you’re looking for your palace in the sky or a more boutique environment. The available suites range from 780 to 2,073 square feet with floor plans from two-bedroom, two-bathrooms to three-bedroom+den. There are also townhome-style layouts available. Prices for available suites start from the $900,000s. The wide range of suite options and incredible incentives aren’t the only reasons to visit the Vita sales centre. The neighbourhood has everything you need on a daily basis, including shops, restaurants, cafes, and grocery stores, all within walking distance. 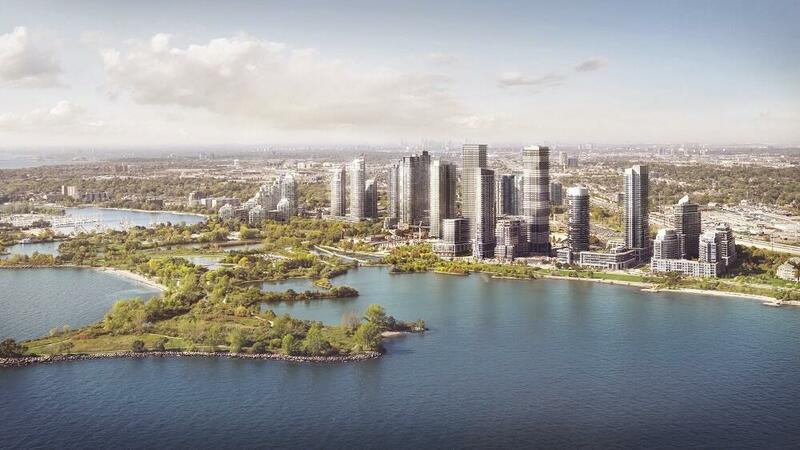 There’s also the 43-hectare Humber Bay Park nearby, as well as the 56 km Martin Goodman Trail, both of which will be appreciated by the outdoorsy type. Getting around Toronto, the GTA and beyond is a breeze thanks to quick and easy access to the Gardiner, QEW, and the Mimico GO Station. There’s also a streetcar stop a few steps away, so you don’t need a car to go downtown. Vita has its own collection of amenities, including an indoor salt water pool, a full size fitness facility with yoga studio, an indoor/outdoor party room with a barbecue terrace, a private dining room, and an outdoor terrace lounge. Learn more about Vita on the Lake and Vita Two! To learn more about the available suites at Vita on the Lake and Vita Two by Mattamy Homes and Biddington Homes, and to take advantage of the current incentive, then you should visit the sales centre at 2995 Keele St. You can also call 416-630-8282 for more information.